There are many entrancing local towns to visit, steeped in history. Always head for the historic centre ('centro storico'). 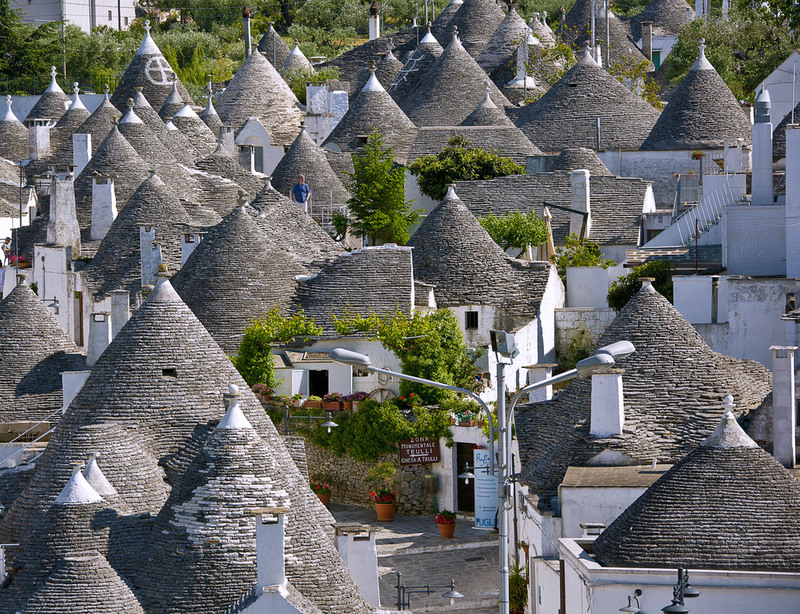 A Unesco World Heritage Site, Alberobello is one of the best known towns of the Valle d'Itria because the buildings in the historic centre are mostly trullli, 1500 of them (see blog). Unique and spectacular, it is somewhere you may well want to visit just the once (it is full of tourists), but worth it too for the particularly good nut and fruit liqueurs (free tastings) in the many small shops, also selling local handicrafts. 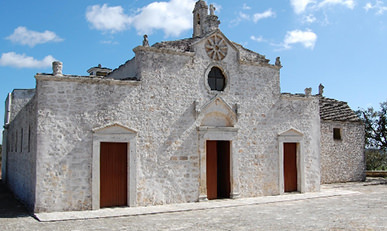 The area around is also worth exploring (in particular the roads from Ostuni to Locorotondo and from there to Agriturismo Green Park and on to Alberobello) . 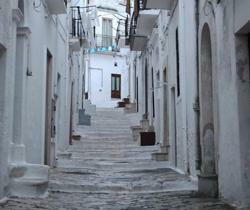 A visit to Alberobello is a trip in a time warp. The city port of Brindisi started life as an Illyrian Greek colony, was taken over by the Messapicans, then fell to Rome in 300 BC. It is sited at the end of the Appian Way, built in 312 BC to link Rome directly to Brindisi and provide the 'Gateway to the East'. 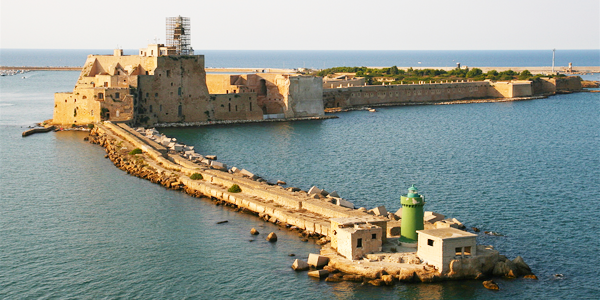 The world's first paved road made Brindisi the most important trading port in the Empire after that of Rome itself. 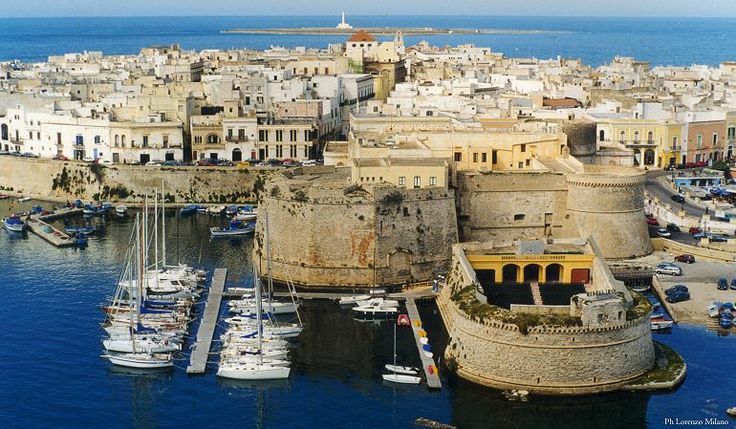 Like the rest of Puglia , Brindisi underwent the customary revolving ownership of Roman, Ostragoth, Byzantine, Norman, Aragonese, Venetian, Austrian, French and Bourbon overlords and kings. Razed to the ground in 647 AD by the Lombards between periods of Byzantine rule and suffering heavily by marauding Saracens and Turks raiders, it became the main port of embarkation and return of Crusading armies from across Europe. A centre of trade with the Middle East with access to the silk road and overland trade routes to the Orient, its importance grew with the opening of the Suez canal and trans Mediterranean trading. The port area is worth a visit if you are in the area, otherwise a lot of it is pretty grim. 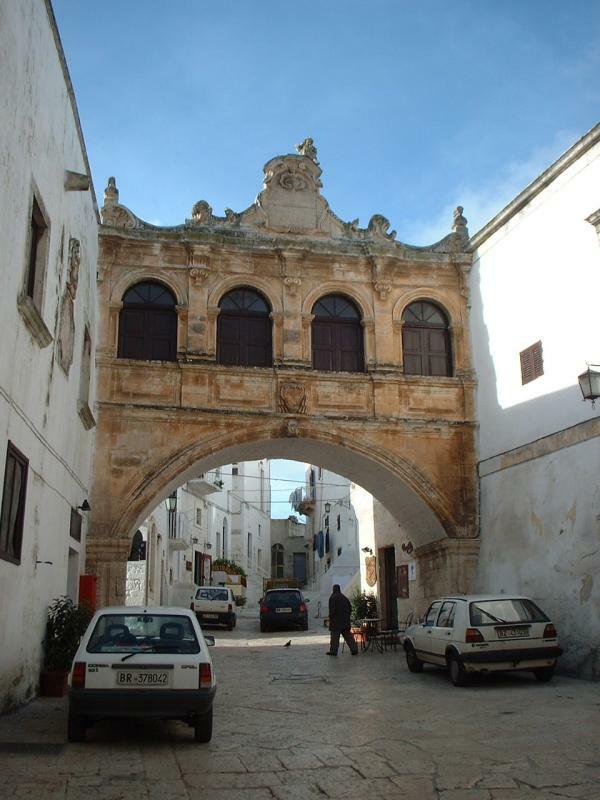 The historic center of Ceglie has medieval origins, it is excavated in the rock. Avoid the horrid developments on the periphery and seek out the old Messapian centre,with a beautiful 15th Century Ducal Castle (easy to reach from our Trullo - when you emerge from our backstreets onto the roundabout on main road to Martina France you simply cross over - dog leg right then left - and then keep going straight to the main square in the centro storico. In our view Ceglie lives up to its name as "City of Art and Gastronomy", boasting two conservatoires and several good restaurants, including a couple Michelin starred, in a town of about 30k. It is not touristy like many of the other towns - has an authentic feel. At Festival time, like everywhere else, the whole place gets lit up with processions and surprisingly good music. 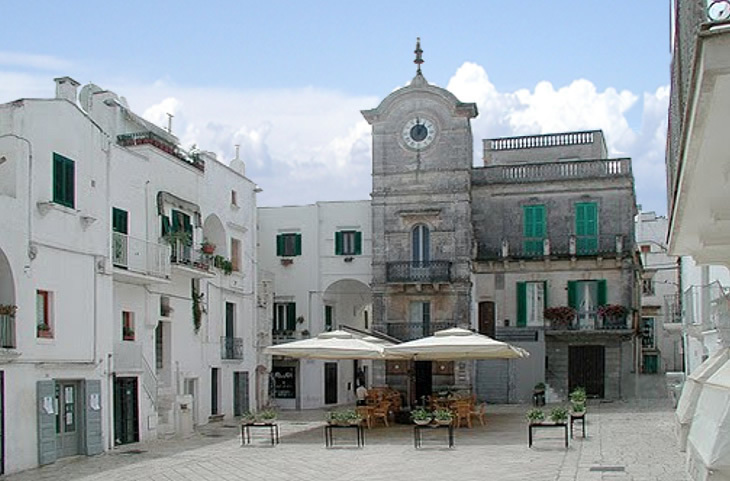 Located 393 meters above sea level, the centro storico is unspoilt and charming. 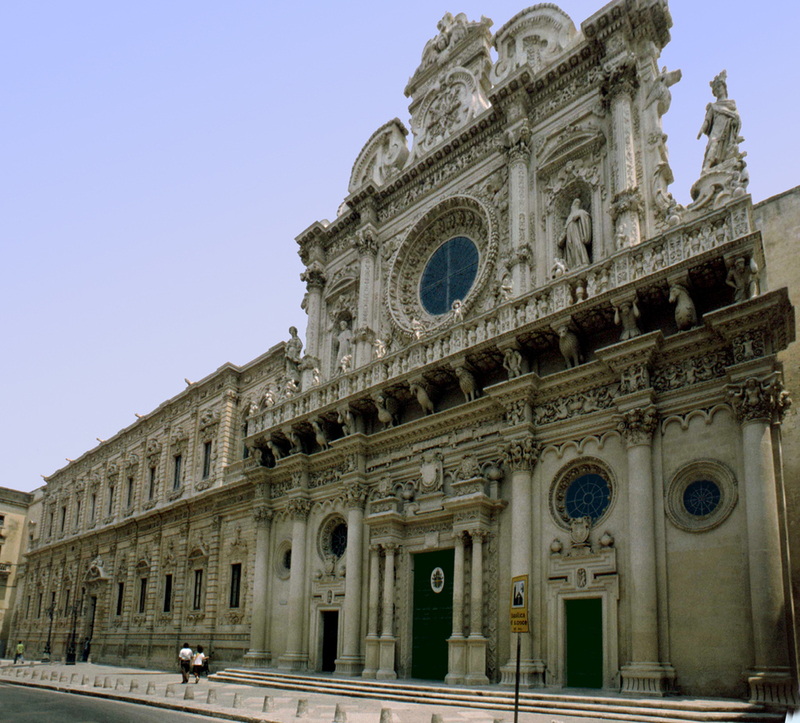 The area was inhabited since Neolithic times, although the first official document mentioning Cisternino dates back to the XI century. Since then, the village and surrounding area has been dominated by Norman-Swabians, Aragoneses and Bourbons in turn. The ancient city walls still exist in parts. On summer evenings the local butchers stay open late and invite you to choose your meat from their fridges and then cook it for you fresh - with chips, salad and regional wine. Worth visiting, particularly on Market day. Beautiful city known as 'the Florence of the South'. The Piazza del Duomo is one of the most beautiful baroque squares in Italy. There are extensive Roman ruins in the centre. Well worth a visit. 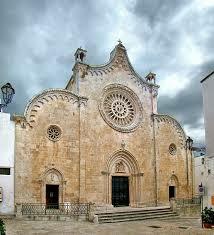 This beautiful baroque city sits high above the Valle d'Itria and is the most elegant town in central Puglia. Again head for the old centre, easily found through a magnificent arch leading from the main square - some lovely shops & lots of restaurants. Good market on Wednesdays, antique market on 3rd Sunday in month. 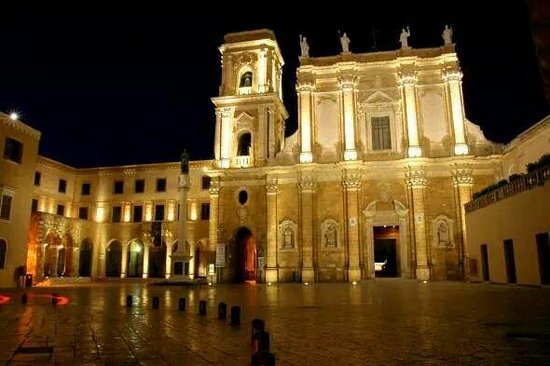 Martina Franca is also the main host of the annual International Festival della Valle d'Itria, a surprisingly good annual festival of opera and classical music (approx 20 July - 10 August). Matera is famous for the caves ('sassi) carved into the ravine for dwellings and churches. For a long time, it has been one of the poorest cities in Italy with one of the highest rate of infant mortality. After the end of the Second World War, Carlo Levi, a famous Italian writer, with his book “Cristo si e’ fermato ad Eboli” (“God stopped at Eboli”), and later on Palmiro Togliatti, the Italian leader of the Communist Party, for the first time addressed the issue of the unacceptable living conditions in Matera. Togliatti called this town “A national shame”. In July of 1950, Alcide De Gasperi, the Head of the Italian Parliament visited Matera and in 1952 signed a Special Law to order the evacuation of the Sassi. 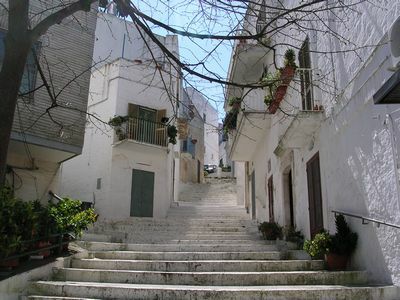 For decades the Sassi were abandoned and ignored, nowadays some have been converted into luxury dwellings and hotels. In 2019 Matera will be deemed the European Capital of Culture. Lovely double harbour and centro storico well worth a wander. You could visit the seaside cafes at Torre Canne on the way up the coast to this town and enjoy eating fresh fritto misto, or sea urchins if to your taste, with the sea gently lapping a few feet away. 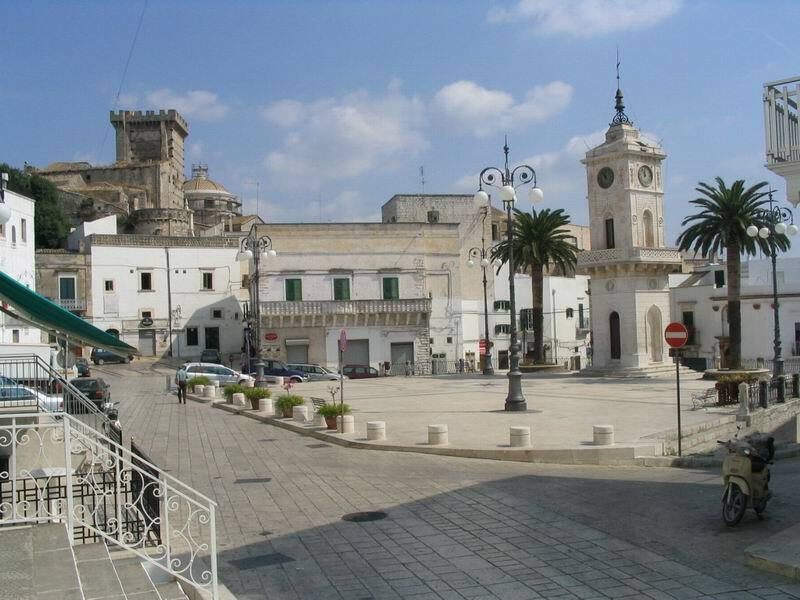 Known as the 'White City' because of its whitewashed houses, it sits high on the Monte di Ostuni looking out to the Adriatic. It is very popular and consequentlyrather full of tat and tourists in the summer - with loads of entertainment, restaurants and bars in the old town. Lovely out of season. Huge market on Saturdays. Several good beaches (see map) - both free access and paying lidos. The origins of this enchanting place date back to the 4th century BC when Greek settlers founded the city of Neapolis. It flourished under the Romans and was important enough for Emperor Trajan to direct his Via Traiana, built between 108-110 AD, through the town. Remains of this road include a bridge at Lama Monachile, just north of the historic centre. 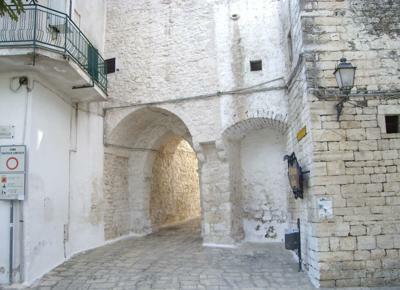 The tiny old town, reached through the Porta Vecchia gate, combines charming, white-washed streets with beautiful old churches. You may find yourself getting lost in the winding streets, but you won’t mind at all. Before you know it, you will have reached one of three panoramic terraces offering breathtaking views of the beautiful Adriatic Sea and coastline. Polignano is famous for three things: the cliff diving, outstanding ice-cream, and Domenico Modugno, who wrote and sangthe massive international hit, Volare (oh,oh!). Grottaglie has a long history of creftsmanship continuing today with beautiful ceramics from home made crockery to fixtures & traditional 'cavazone', used to store wine & olive oil.